Why did Bitcoin appearance bring so many attention to blockchain? Many people believe that the existing banking system is ineffective. Today, if you need to make a financial transaction, you will need to contact the contractor in the form of a bank and it will take the percentage of the services. If your money is being transferred to foreign countries, the deal can take up to three or even five days. Previously we have already written about Ethereum and its major advantages on the modern cryptocurrency market. Ethereum price is not as volatile as Bitcoin’s, so many people consider it more attractive as an investment. Ethereum value is also growing with time; the cryptocurrency is becoming more and more popular. Read more about How to Buy Ethereum here. Its decentralized network, meaning that there’s no one single server which storages all the data about transactions. Its copies are kept all over the world which guarantees safety and stability. Blockchain helps to omit the contractor and traditional financial institutions and without them the transaction’s fee gets lower. Checking on the transaction’s phase in blockchain is going 24/7, which helps to carry out the deals in just a few seconds or minutes. But Bitcoin is not in the first place anymore. 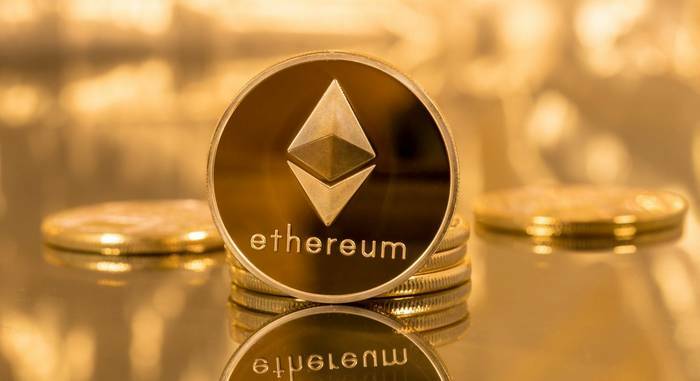 More and more attention attracts the ether – the second in size cryptocurrency on the market, built on the Ethereum platform. 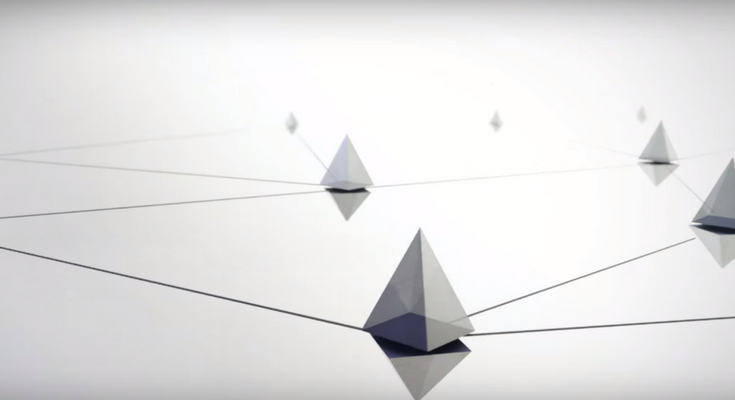 Ethereum supports protocols for smart-contracts — programs which help to conclude, check and ensure the implementation of the contact. These protocols let business set the Ethereum blockchain according to their needs. They consider having more power than old-school paper-made contracts. Smart contracts protocols helped to use blockchain not only in the financial industry. In February 2017 Enterprise Ethereum Alliance (EEA) was established, which allows enterprises and international organizations to test and develop Ethereum blockchain in various sized projects. For today, EEA comprises over 200 members including leading companies from various industries, which test the network in small projects. Let’s take a closer look at the most fascinating and unique ways to use Ethereum blockchain. The identifier of the personality on the basis of blockchain can make our life and travel much more convenient. For example, during passport control at the airport, you will be able not to stretch to the employee your passport, but instead, give him an access to the protected information on your personality and the direction of your flight kept in blockchain that will simplify the check and will release many financial and human resources. Probably, the biggest experiment takes place in the Swiss city of Zug. The Uport company which is developing the platform for digital identification of users made it available to citizens of Zug, and for today, the pilot draft of the digital identity card on the basis of a blockchain operates in Switzerland. Probably the most frequent usage of the Ethereum blockchain is currently connected with logistics and management of the deliveries chains. As blockchain allows to exclude paper which is a frequent source of mistakes and swindlers. Data in blockchain can’t be changed which makes its usage more secure and effective. The transparency and the invariance of data allow to understand at what stage there was a problem — it isn’t necessary to look through infinite piles of documents. Such a solution lets to trace goods understand their current position and if they have undergone already the testing — for traditional retail trade is very important. And, finally, Ethereum blockchain in combination with “the Internet of Things” (IoT) is capable to work real miracles. For those who aren’t aware: “the Internet of things” is a set of the wireless devices capable to work together, sending and obtaining data. For example, in the Ethereum blockchain, it is possible to create smart-contracts allowing devices to order new parts for themselves after user’s permission. If the device is broken or knows that its part is defective, then it can order itself a detail and program this command by means of the smart contract. Besides, it is possible to check on the reliability of the connected devices with the help of Ethereum blockchain. Imagine an environment where various wireless devices arise and vanish — cars passing through the smart city — and blockchain allows to operate them, defining which of them is trustworthy.